This is a classic and beautiful effect that allows you to change a black streamer into a colorful one. It's completely easy to do, and works well for large or medium size audiences. 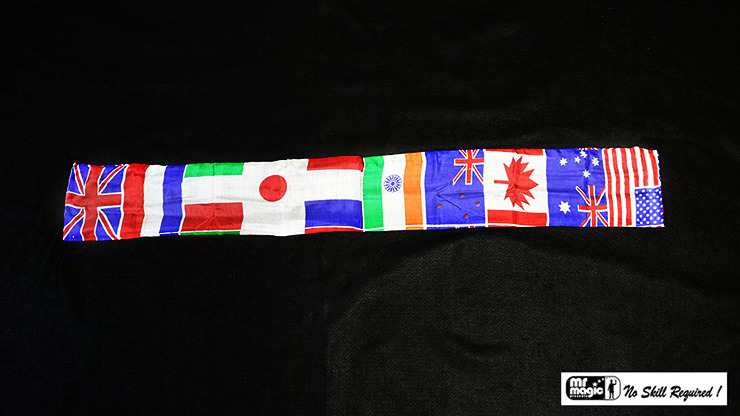 With just a shake, this black silk streamer will turn into a stream of colorful national flags of different countries. Approximately 5" x 40". Your audience will love the surprise appearance and its beauty.